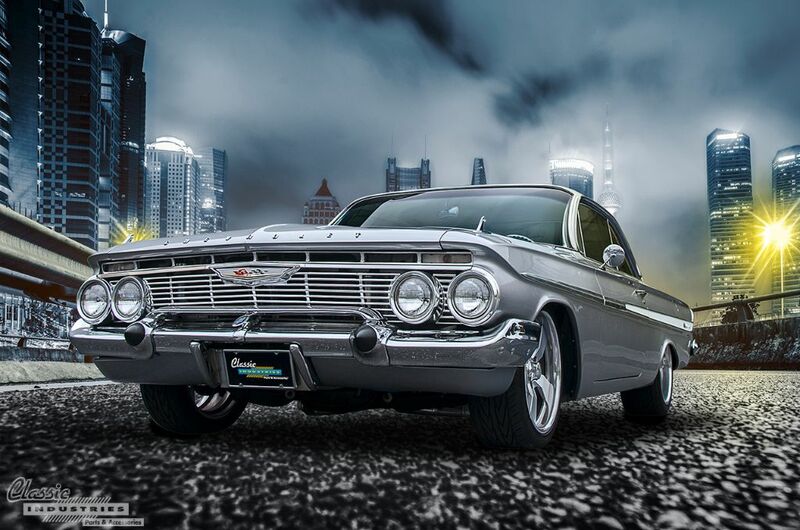 As a result of this sleek styling, the 1961 Impala bubble top has become a desirable classic. 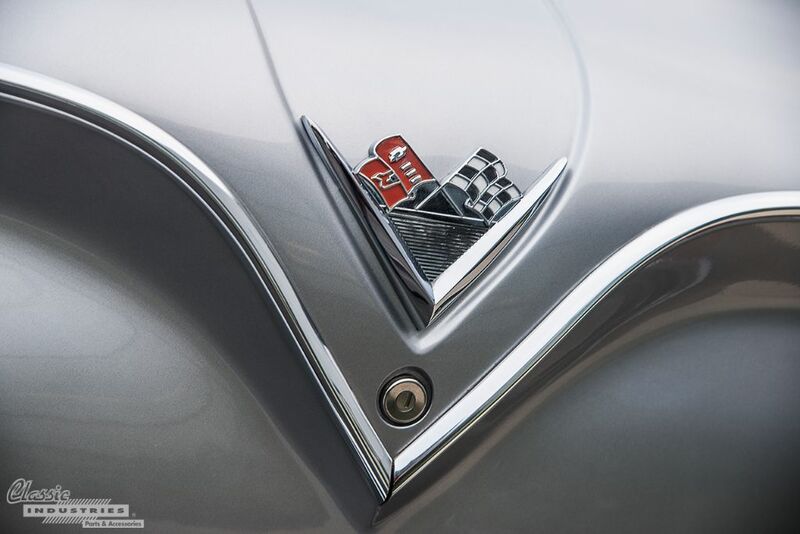 Its iconic, one-year-only design looks just as beautiful today as it did the year these cars were produced. 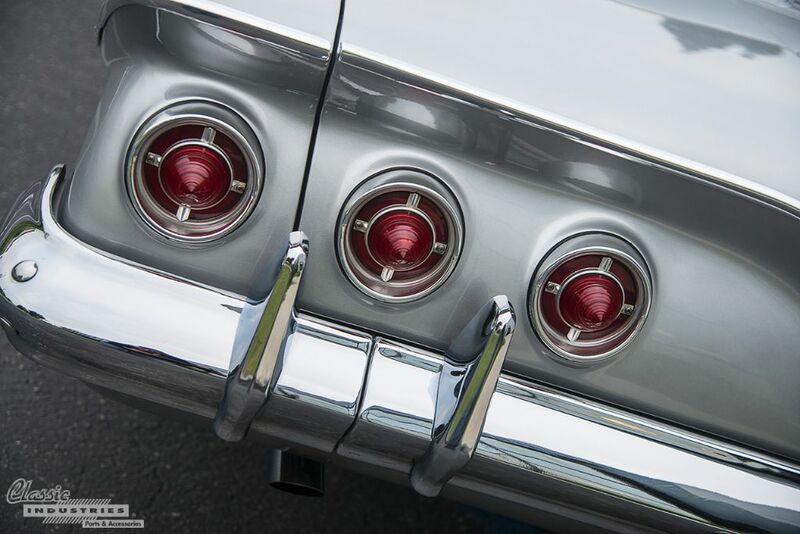 The silver-and-white two-tone Impala seen here belongs to Jerry Koon, of Long Beach, California. Jerry says the car underwent a full frame-off restoration, but that this restoration work was completed quite a few years ago. But you'd never know this by looking at the car! It still shines and sparkles like it was restored yesterday. 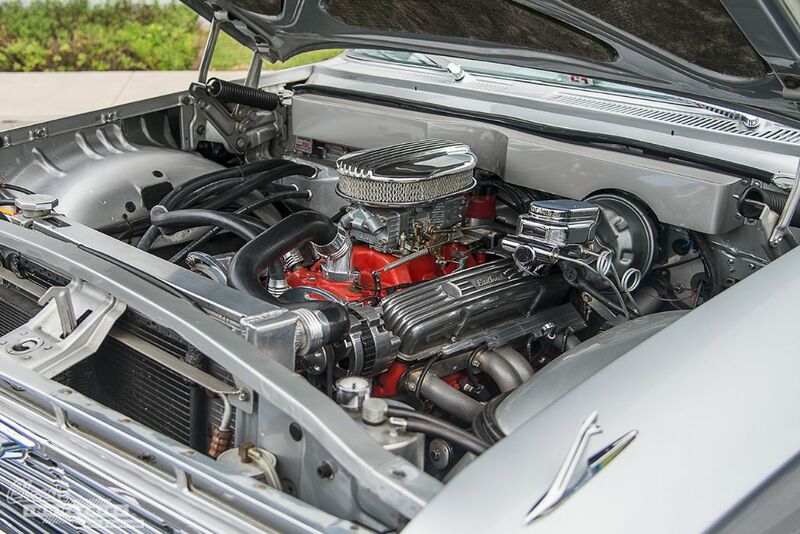 Under the hood of this bubble top 1961 Impala is a performance-built 383 stroker, fitted with long-tube headers, MSD ignition, Holley carburetor, and finned Edelbrock valve covers and air cleaner. The engine is paired with a TH-700R4 automatic transmission. 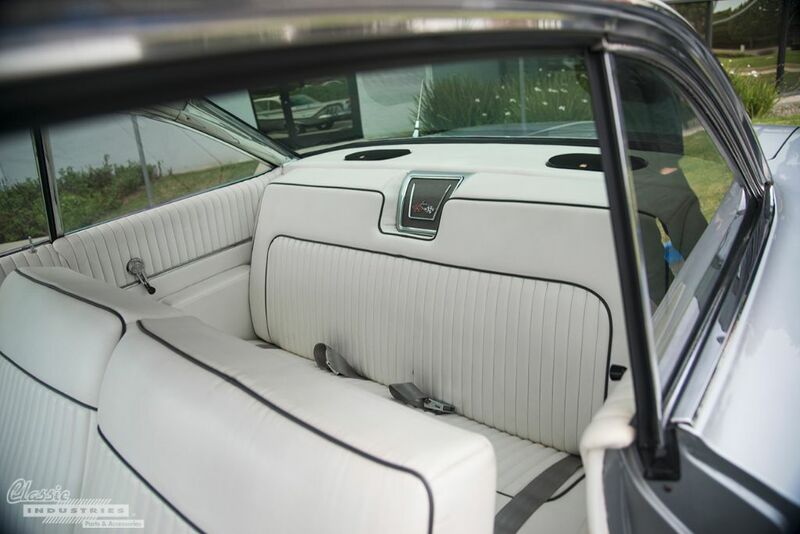 The interior upholstery is clean white with black piping, and an upgraded modern sound system has been installed. 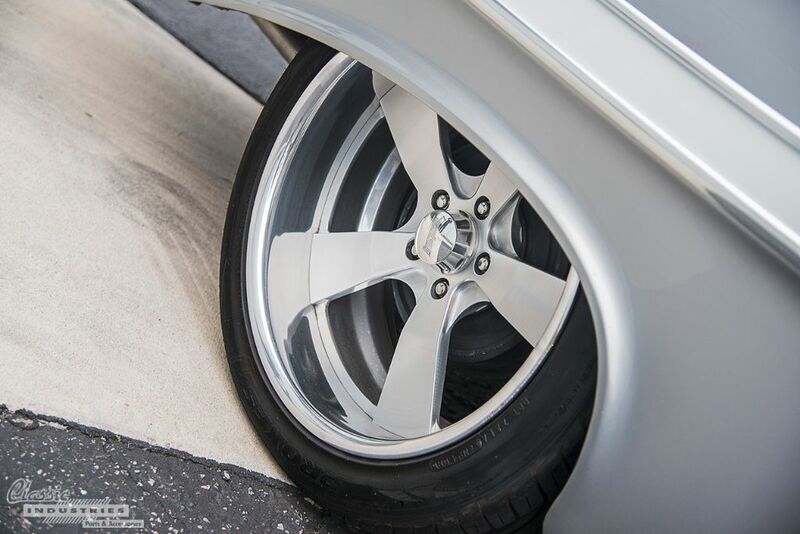 The car rides on 5-spoke billet aluminum wheels with polished lips and grippy Toyo Proxes tires. Jerry stops by the Classic Industries Huntington Beach showroom to pick up any parts he needs, from floormats to trim and maintenance products. 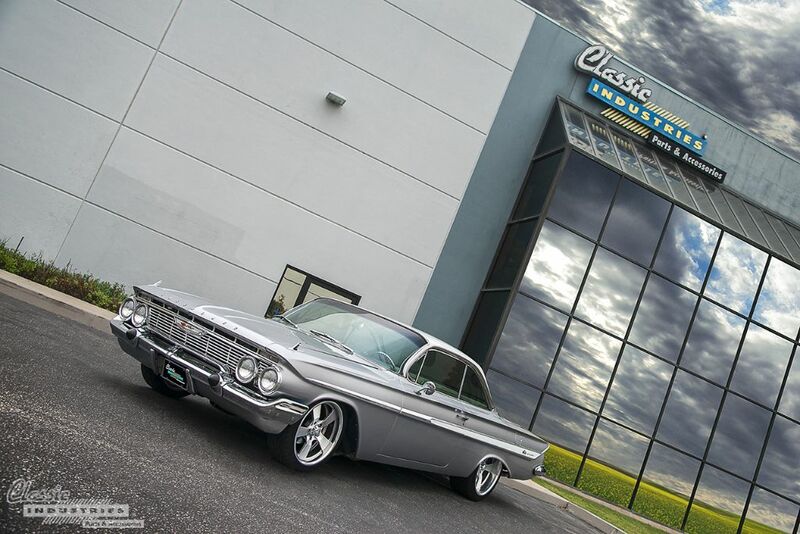 If you need parts for your classic Impala, Bel Air, Biscayne, Caprice, or other full-size Chevy model, Classic Industries can help. 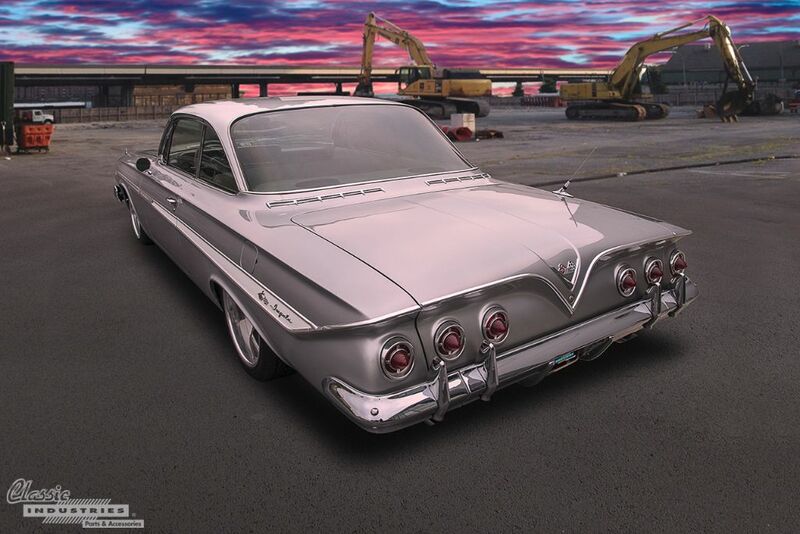 Click the button below for a free Impala parts catalog.